1. 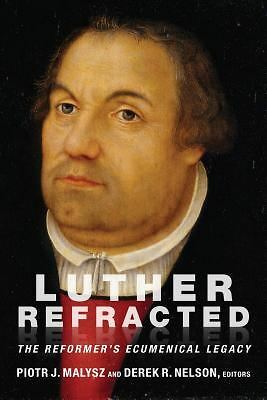 The approach of the Lutheran exegete is governed by his faith in Jesus Christ, in whose name he has been baptized, and by whom he has been made righteous in God’s sight. This faith is anchored in the Gospel, the scandalous news that Jesus Christ died and rose again to execute God’s plan of redemption for sinful mankind. 2. In the interpretation of Scripture, the Lutheran exegete must relate all of Scripture to its center, viz., solus Christus, that is, the message of justification by grace propter Christum [on account of Christ] through faith. 3. 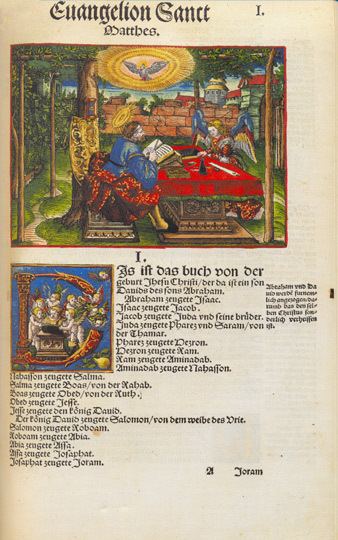 In applying this principle the Lutheran exegete must follow the rule that “Scripture interprets Scripture” (Scriptura Scripturam interpretatur). Understood in its primary sense this rule means that the clear passages of Scripture, namely those which display the teaching of justification by grace through faith in all its force and glory, must be used to interpret and evaluate those portions of Scripture where this truth is obscure. In short, the right distinction between Law and Gospel must be rigorously maintained in all biblical exegesis (Apology of the Augsburg Confession IV 5). 4. The Lutheran exegete also follows the norm that “the Old Testament must be interpreted in the light of the New Testament,” that is, in the light of Christ’s advent as the fulfillment of God’s eternal plan of salvation. The ultimate context of the Old Testament is the New Testament . This principle is abused, however, when we insist that that New Testament interpretation or application of a given Old Testament passage is always the only meaning which God intends us to discover in that Old Testament passage. 5. The Lutheran exegete must assume an attitude of subservience to the Scriptures as the inspired word of the living God which is designed to lead men to salvation. In so doing the exegete will always seek to determine the message which God intends to communicate in any given passage. 6. By seeking to ascertain the intended sense of a given passage the Lutheran exegete is applying the principle sensus literalis unus est. The Latin formula stands in antithesis to the medieval method of discerning the fourfold meaning of each passage of Scripture. Sensus literalis has reference to the God-intended rather than surface meaning (sensus literae) of the biblical text. 7. When attempting to determine the intended sense of a given text of Scripture the Lutheran exegete must employ all the tools at his disposal to discover the character or nature of the text with which he is dealing . In this task the evidence of the text itself must be taken into account and the analogy of comparable texts given due consideration. If this is done the exegete will not hastily jump to the conclusion that a given text is a chronicle, a law code, a parable, or any other kind of literature, without sufficient evidence. 8. Finally the Lutheran exegete must pay special attention to the usus loquendi of the biblical writer, that is, he must try to ascertain what the terms, concepts, imagery, forms, etc., of a given text meant in the culture and specific historical situation of the audience to which the passage was originally addressed. God means to be understood and so he employs that living language or medium of expression which can be readily grasped by the original audience to which the speaker or writer addressed his message. In short, the exegete must attempt to become a part of the audience which the inspired biblical author addressed himself and to hear that writer speaking on his own terms, as far as this is humanly possible.